The more I use Twitter Bootstrap, the more I like it. The only thing that puts me off is needing jQuery for a few simple interactions such as hiding and displaying elements. jQuery’s an excellent library but if a site doesn’t make full use of it, it can be overkill, adding unnecessary bytes to your pages. 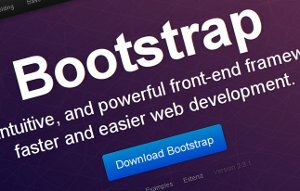 As a replacement, I tried to make a lightweight alternative script specifically for Bootstrap. a collapsible navigation menu triggered by the “hamburger” button. I’ve also prepared a simple Bootstrap demo page for testing. As always, feedback is welcome!